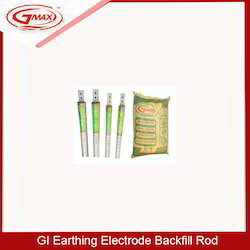 Widely praised for its unmatched performance, commendable capacity and superior strength, the offered range of GI Earthing Electrode Backfill Rod is known to amongst the primary preferences in the market. Making of this range is done as per the set industry norms and guidelines, utilizing the finest raw materials and modern machines. This ensures the product’s standard of quality. gmax GI Earthing or Gel earthing system is the process of creating an alternative path for the flow of excessive/fault current safely into the ground in the presence of minimal resistance. gmax GI earthing system offers superior product life, cost effective, maintenance free as well as reduces the maintenance cost. 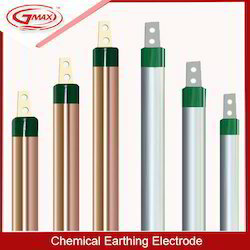 gmax gel Earthing Material manufacturer offers quality assured and these are widely used in Power and Telecom industry to protect from electric shocks. 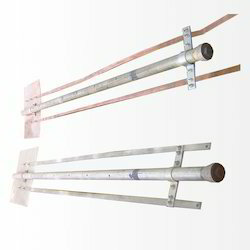 gmax offers gel earth electrodes features like superior quality, properly galvanized, varable choices, cost effective, maintance free and global tecnology are highly preferred. Unbreakable and easy t install. 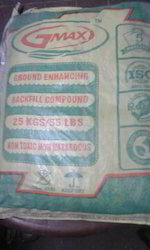 Grounding Conductivity Improver is a powder form of earthing chemical that improves the ground for grounding and earthing means. 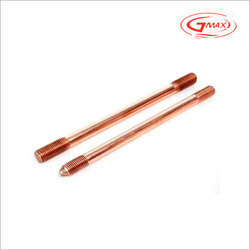 gmax Metal pipe in specific to a diameter (GI/CI). Prone to swift corrosion due to straight contact with the soil. Decompose of metal components and grounding plate. Insufficient and inadequate Galvanization standard. Variation in Ohmic value, which may impact and trim down equipments life hence gigantic recurring maintenance costs and potential threat to the safety of human life. Conventional and traditional method of earthing necessitates frequent maintenance and has a diminutive life, this may be required to transform in every 3-4years. The most commonly used substances are Sodium Chloride (also known as common salt), Calcium Chloride, Sodium Carbonate, Copper Sulphate, Soft Coke and Charcoal get washed away over a period of time and salt is known to be a corrosive electrolyte, this may decay the pipe and conductor used for earthing hence may not present consistent ohmic value. Much cumbersome and protracted process to install and have a need of very deep holes in the earth any where between 40-100 feet. Circulation of short circuit current is comparatively fewer in terms of charge dissipation hence produces soaring potential at the pit resulting in low fault current as measure up to preferred tripping circuit of fault protection relays.